M1 Finance Review: If you are a buy-and-hold investor who wants control over your investments plus the benefits of an automated investment management service, M1 Finance might well be the holy grail you have been looking for because it’s a combination of a broker and a robo-advisor. Buy-and-hold investors know that over time some holdings grow more than others, causing portfolio allocations to skew in favor of a few dominant positions. Unknowingly, this means some investors take on more risk than they originally intended. Where M1 Finance wins high marks is by matching your original objectives with your portfolio allocation on an ongoing basis while still giving you the power to customize your holdings. No longer do you need to monitor your investment portfolio because it remains balanced and automatically managed. If that innovative solution sounds attractive, then M1 Finance may well be exactly what you have been looking for, but what else should you consider? 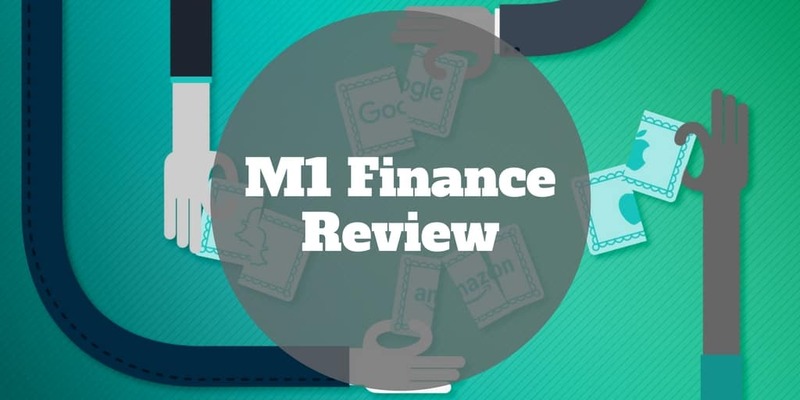 Let’s dive into this M1 Finance review. M1 Finance Review: Is It Right For You? M1 Finance is designed for investors who want the choice to control which investments are in their portfolios plus the option to choose to keep their portfolios balanced via automated investment management. If you like to be 100% hands-off when investing then a pure robo-advisor may be ideal. Check out Betterment, Personal Capital, or Ellevest, who require you to answer questions relating to your capacity for risk and financial goals, and invest your money automatically based on computer algorithms. How Is M1 Finance Different To Robo-Advisors? Comparing M1 Finance vs Betterment, or other robo-advisors, the primary difference is M1 Finance gives you more control over your portfolio selections. On the other hand, if are an active trader, souped-up trading platforms like thinkorswim or tastyworks will give you full control over your money and how to invest it. But what if you want to pick a diversified portfolio “off-the-shelf” that matches your retirement objectives and still be hands-off? Or what if you want to add shares of a company to that same portfolio and then not need to monitor it each week to make sure it is still balanced? The answer to those questions is M1 Finance, which provides you the customization to select investments yet the automation to manage your portfolio as time goes by. You can check in on your portfolio as little or as often as you wish, so you get the best of both worlds: control over the selection of investments and ongoing automated investment management. M1 Finance empowers you to create your own portfolio that it will manage automatically in order to maintain the same position weightings you chose day one, or select among portfolios that have been previously created. The way M1 Finance works is through a process it calls Pie Investing. Think of a portfolio as a pie with lots of slices, each representing a stock or ETF, or some other pie. M1 Finance gives you the opportunity to pick a “pie” that has already been created, and make changes to it, or you can create your own custom pie. So, let’s say you want your portfolio to comprise of ETFs primarily but you also want to add a small portion of a higher risk stock, such as Facebook or Alphabet, with a view to boosting returns, now you can. But you can build a similar portfolio of stocks and ETFs at many ordinary brokerage firms too, so what makes M1 Finance special? Elsewhere, you would need to monitor that portfolio regularly to make sure the “slices of the pie” stay the same size over time. The reason you would need to keep a close eye on your portfolio is because you don’t want one position, say your risky stock, to become a really large part of your portfolio. If it did, your portfolio would have larger swings up and down compared to when it was first built. In short, your portfolio would be more risky than if your portfolio weighting remained the same as when you first built it. If you don’t know which investments to select on day one, you can simply select a pre-populated M1 Finance pie that fits your investing style. 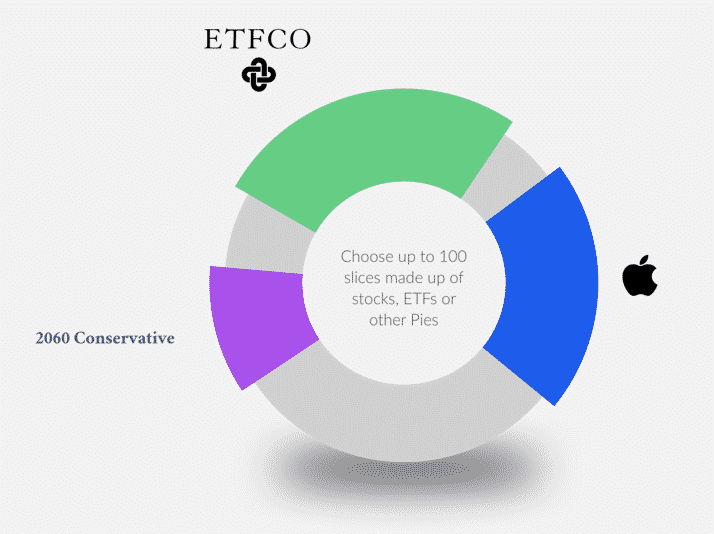 Each pie may have as many as 100 slices that are made up of individual stocks, ETFs, or even other pies, so portfolios are as diversified as you wish based on your risk preferences. M1 Finance provides template portfolios, or pies, in a range of categories, including General Investing, Retirement, Responsible Investing, Income Investments, Hedge Funds, Bonds, and Other Industries & Sectors. No matter what your financial objectives, you will almost certainly find a portfolio, or pie, that matches your goals. M1 Finance has created a list of portfolios to cater to almost every need. And of course, you can always create your own custom portfolios, or pies. M1 Finance charges no broker fees or commissions, and has no minimum account balance requirements to get started. To ensure you stay fully invested, fractional shares are supported. The main drawback is that tax loss harvesting services are not offered. ✅ Zero Fees: No broker fees or commissions are charged. ❌ Tax Loss Harvesting: While tax-loss harvesting is not offered, tax minimization is designed to lower the impact on your tax bill from selling your holdings. ✅ Low Account Minimum: You can open an account at no cost and invest as little as $0.01 in any security because M1 Finance supports fractional shares (however keep in mind the exchange fee when selling is $0.02). ❌ Buy-And-Hold Bias: M1 Finance is designed primarily for buy-and-hold investors more so than active traders, who would do better with thinkorswim or tastyworks. ✅ Dynamic Rebalancing: To avoid portfolio drift, M1 Finance dynamically rebalances portfolios. ✅ Extensive List of Portfolio (or Pie) Templates: Whether you are investing for retirement, the short-term, or want exposure to a certain sector or industry, you have a wealth of template pies from which to choose – or you can customize your own portfolio. ✅ Supports Many Account Types: A wide range of account types are supported, including individual, joint, retirement, trust, and entity. M1 Finance has a mission to remove the barriers to investing and its radical, zero-fee policy means that is not just “talk” but the company is walking the walk too. 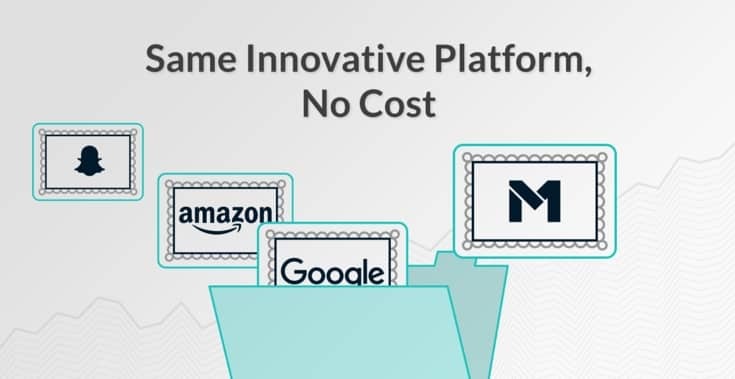 M1 Finance changed its fee schedule from charging a % of assets to zero fees in order to make its platform more accessible to a broader audience. M1 Finance supports a wide range of account types, including individual, joint, retirement, LLC, trust, corporation, and partnership. M1 Finance practices dynamic rebalancing to prevent portfolios from drifting. Where M1 Finance loses a few marks is on its tax focus: tax minimization is supported but tax-loss harvesting is not. M1 Finance is a mix of a broker and a robo-advisor. Like a broker, you can buy stocks and ETFs easily for your portfolio. And like a robo-advisor, your portfolio will be dynamically rebalanced to ensure position sizings remain aligned with your original choices. You can select off-the-shelf template portfolios, called pies, that span a wide gamut of investment styles. Whether you are conservative, aggressive, want exposure to a certain industry or sector, or simply prefer to add your own favorite stock to an existing “pie”, you can customize portfolio constructions easily. M1 Finance charges no fees nor commissions, which is in line with its mission to remove barriers to investing. Where M1 Finance loses points compared to some leading robo-advisors is by not providing tax-loss harvesting services. Keep in mind that most brokers don’t offer this service either. The bottom line is if you want the benefits of ongoing investment management associated with robo-advisors but also want the customization of picking your own stocks like you get with a traditional broker then M1 Finance is well worth checking out. ‹ Chase vs Citibank Review: Which Bank Is Better?